Classic Halva with pistachios | Μέλι Αττική, Αττική Μελισσοκομική Εταιρεία - Αλέξ. Πίττας Α.Ε.Β.Ε. 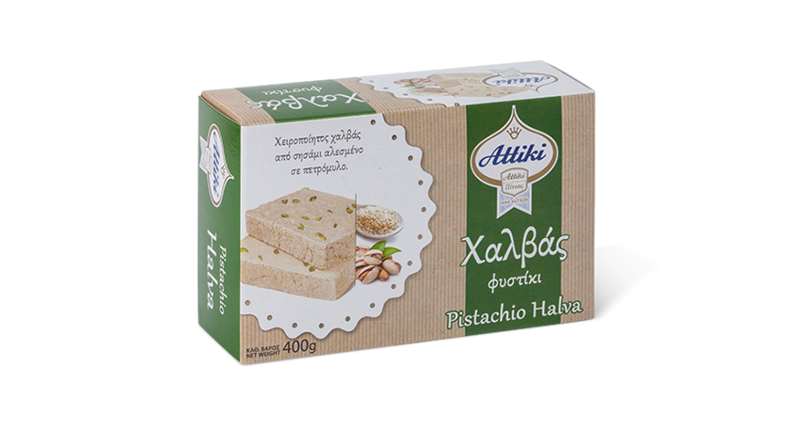 ATTIKI Halva is handmade according to a traditional recipe. It is made from top quality stone-ground sesame, which has a proven beneficial effect on human health. Enjoy halva with pistachios, or in the other 3 varieties: vanilla, cocoa and with almonds.